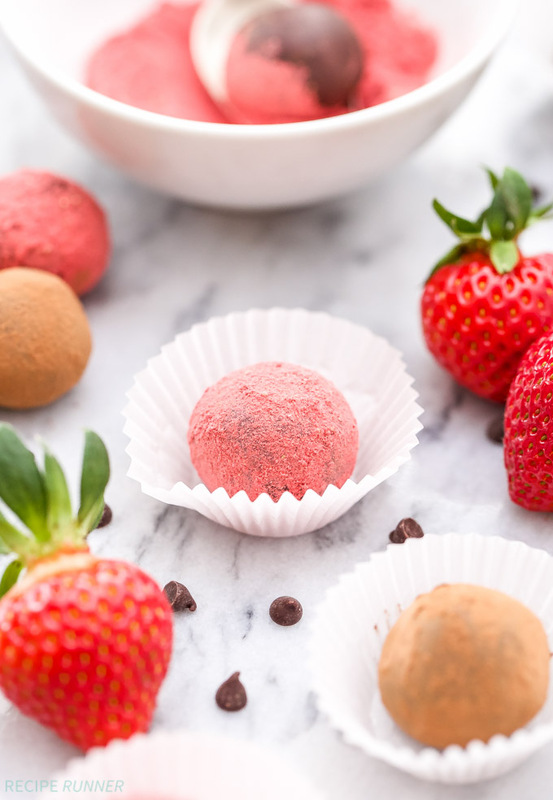 Four ingredients are all you need to make these easy Vegan Chocolate Strawberry Truffles! A wonderful balance of rich chocolate and sweet strawberries, perfect for Valentine’s Day! Valentine’s Day is just around the corner and while my husband and I don’t go all out with gifts I do like to have a little treat for him. This year instead of buying him chocolates (he’s a chocoholic) I thought I’d make him these Vegan Chocolate Strawberry Truffles. 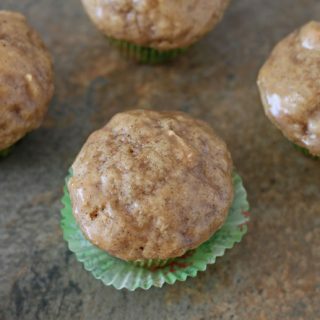 Neither my husband or myself are vegan by any means, you could probably tell by the amount of chicken recipes on this blog. However, I do like to experiment and create all kinds of recipes for those on different diets or with food allergies. Honestly unless you told someone that these chocolate strawberry truffles were vegan, there’s a 99.9% chance they’d never know. People often get a misconception that vegan food is going to taste different, when in fact it doesn’t and sometimes even tastes better. I will say the one area you probably won’t be fooling anyone with is a recipe that uses cheese. I’m sorry, but all the vegan “cheeses” I’ve tasted come nowhere close to the real thing. I’d rather just skip cheese all together if I’m doing a vegan meal. Chocolate however, is a different story. There’s some great dairy free chocolate out there that’s a great substitution for the real thing. 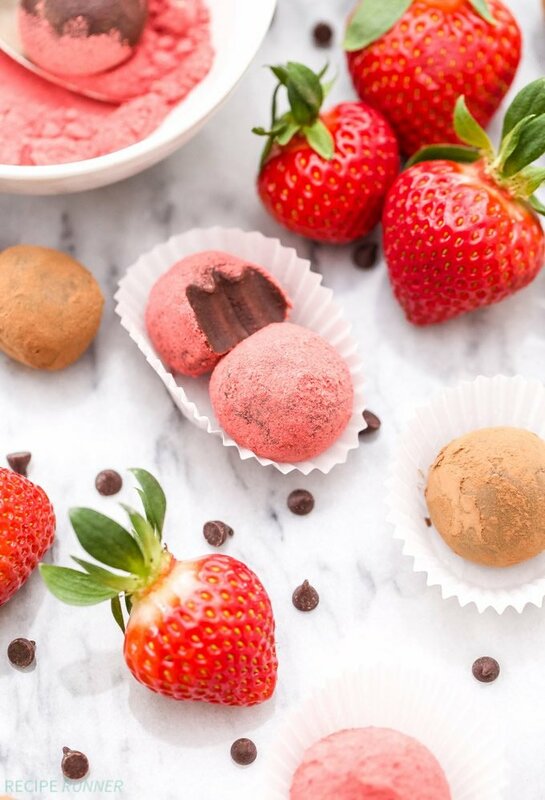 These Vegan Chocolate Strawberry Truffles are proof of that. If you’re worried that making your own truffles might be complicated, trust me it’s not. You only need 4 ingredients to make this chocolate strawberry version. Dairy free chocolate chips, canned coconut milk, freeze dried strawberries and vanilla extract. To make the truffles simple blend the strawberries until they turn into a powder. Add the chocolate chips to a bowl and heat the canned coconut milk in the microwave or on the stove. Once the milk is hot slowly pour it over the chocolate and stir together until it’s melted. Add in the vanilla and a couple tablespoons of the strawberry powder and stir together. 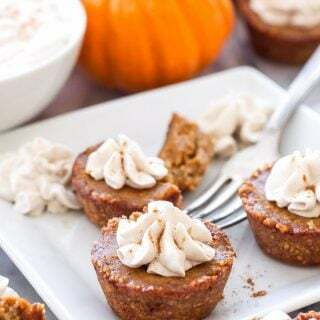 After the chocolate has chilled and firmed up in the refrigerator, use a small cookie scoop to scoop out the mixture, then roll it into a ball. 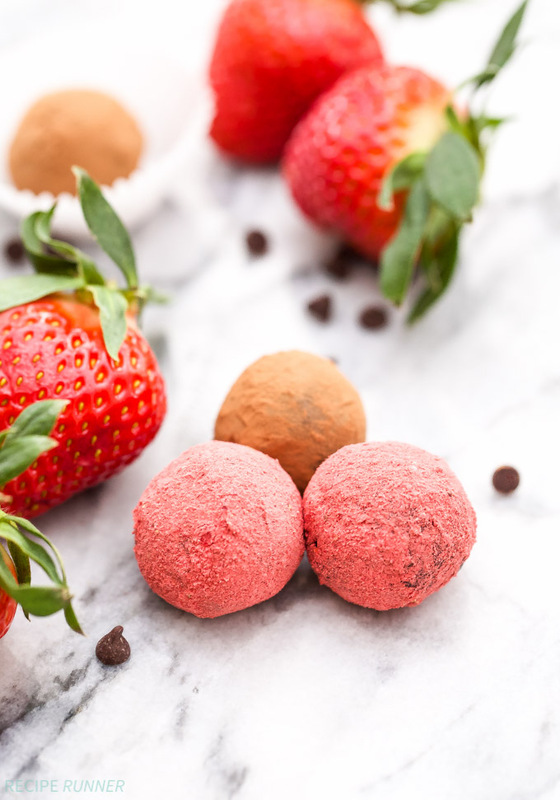 Roll the truffles in the remaining powdered strawberries or unsweetened cocoa powder, then store them in the refrigerator to keep them from getting too soft. The recipe makes about 16 truffles and it’s far more cost effective than going out and buying an overpriced box. Enjoy! In a blender or food processor, blend the strawberries until they turn into a powder. Add the mini chocolate chips to a medium sized bowl. Heat the coconut milk in the microwave or on the stove just until it simmers. Pour the hot coconut milk over the chocolate and stir together until it's melted. 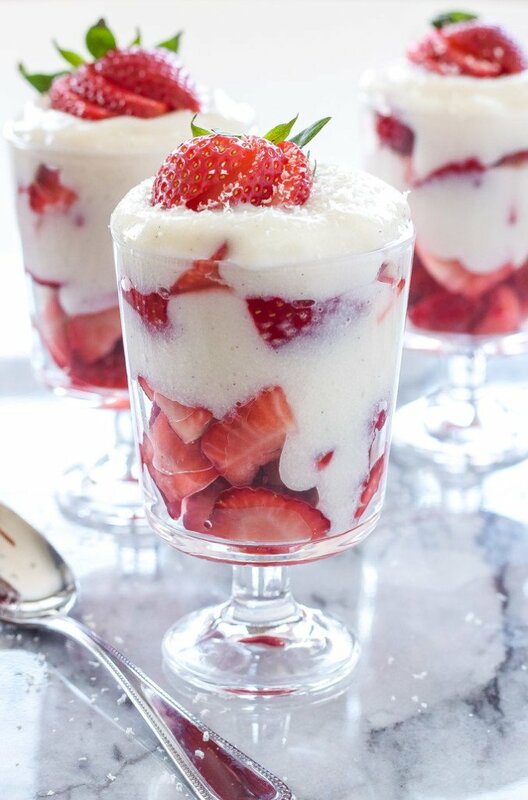 Stir in the vanilla and approximately 2 tablespoons of the strawberry powder until combined. Place the bowl in the refrigerator to chill for 1-2 hours or until the mixture is nearly solid. Once chilled place the remaining strawberry powder in a small bowl (and unsweetened cocoa powder in a separate bowl if you are using it). Use a 2 teaspoon sized cookie scoop or measuring spoon to scoop out the chocolate. 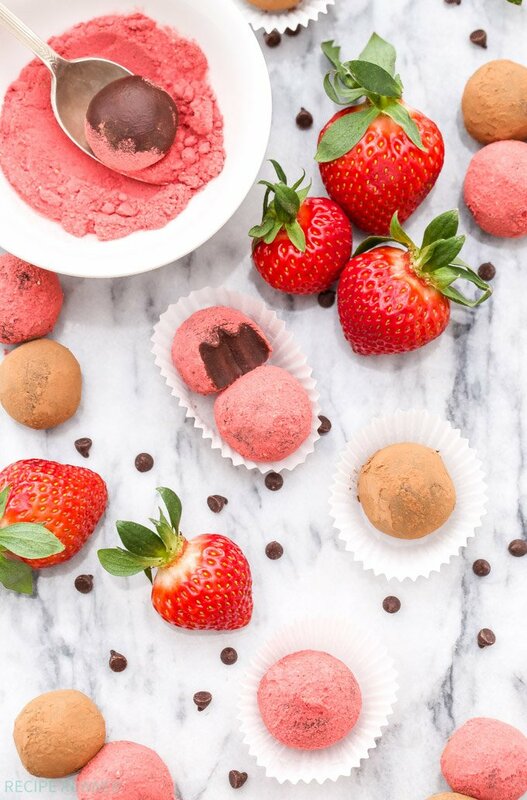 Use your hands to roll into a ball, then roll the ball in the strawberry powder or unsweetened cocoa powder. Eat immediately or store the truffles in an airtight container in the refrigerator until ready to eat. * For a creamier texture let the truffles come to room temperature before serving. 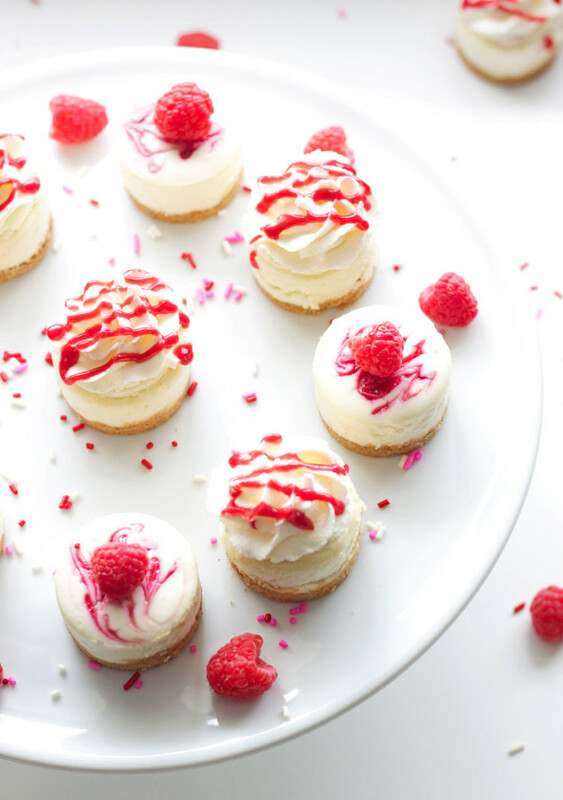 These are so beautiful - and I can't believe how few ingredients there are! 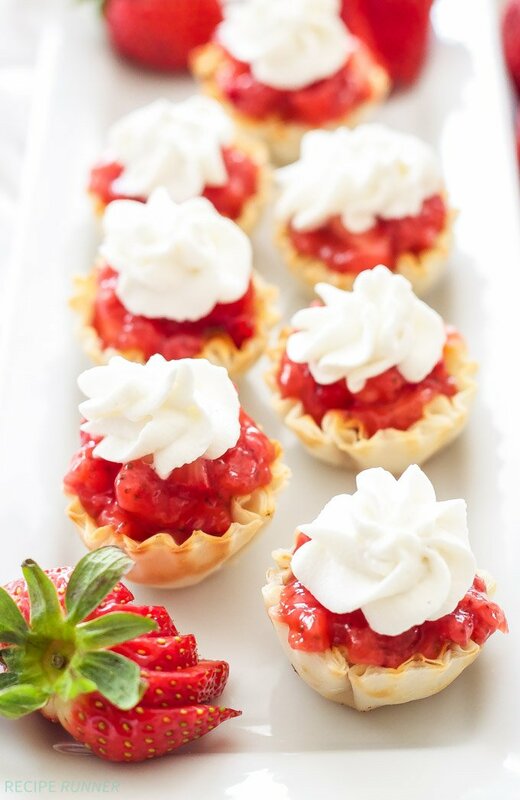 I love the idea of rolling them in freeze-dried strawberries. Gorgeous photos! I agree with you about vegan cheese, never liked it. But have experimented with chocolate and coconut oil combos and liked it. Will def have to try the dairy free chocolate and coconut milk combo. 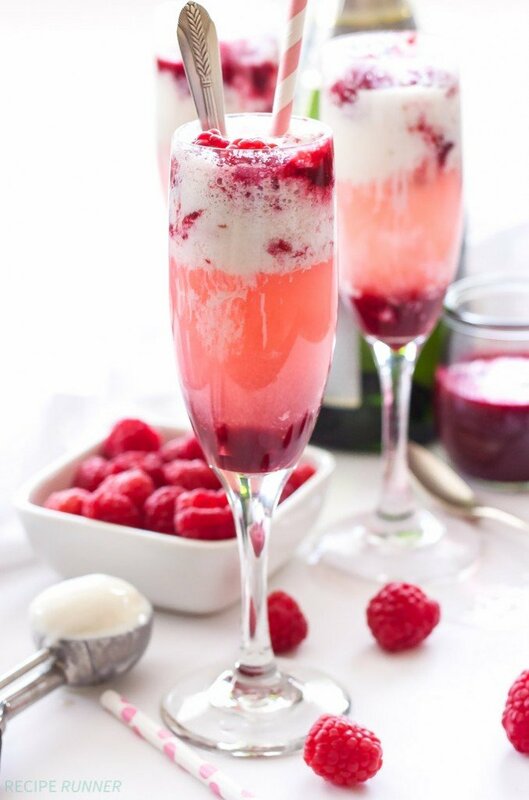 And that strawberry powder looks really fantastic! Awesome idea. Thanks Kelly! 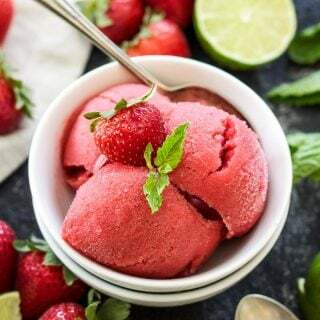 The strawberry powder added just the right amount of sweet strawberry flavor! I know some will say I’m being too picky, but unless you use vegan chocolate, these truffles are not vegan. Some dark chocolate has no dairy but the sugar in it is processed through bone char which to some people makes it not vegan. There are several brands of vegan chocolate and some small chocolatiers who produce vegan chocolate. You can order it on the Internet if it is not available locally. I loved the flavors here. One question. My truffles are good, but are slightly chewy. It's my first time making vegan truffles so I'm not sure what I did wrong or if that's normal. I didn't initially use mini chocolate chips, I used some Whole Foods dark chocolate drops and ground them up a bit first before. Stirring the chocolate and hot coconut milk I still had some lumps so I threw the whole mixture back in the microwave and then stirred till the whole thing was smooth. They rolled up really well and look great, I just can't get over the chewy texture of them.